SAAB 9-5 95 TID. 1 x 1m Leak Off Pipe. INJECTOR LEAK OFF KIT. BOSCH COMMON RAIL. 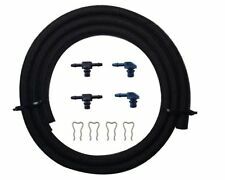 2 x 90° 'L' Connector Inc. Rubber O'Ring. 2 x 180° 'T' Connector Inc. Rubber O'Rings. COMMON RAIL INJECTOR WASHER. FOR SAAB 9-3. TO FIT Bosch Diesel INJECTORs (0445.) . 2007 SAAB 9-3 1.9 TiD FUEL RAIL 55188056 / 0445214057. Condition is Used. SAAB 9-3 93 1.9 TID. 1 x 1m Leak Off Pipe. INJECTOR LEAK OFF KIT. BOSCH COMMON RAIL. 2x 90° 'L' Connector Inc. Rubber O'Ring. 2 x 180° 'T' Connector Inc. Rubber O'Rings. 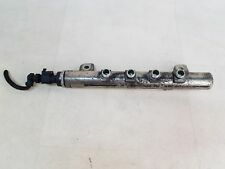 SAAB 93 9-3 VAUXHALL VECTRA C ZAFIRA ASTRA 1.9 CDTI FUEL RAIL 55209575 . Condition is Used. Ref06,Dispatched with eBay delivery - Shutl 1 day. NEW 1.9 DIESEL INJECTOR REPAIR KIT (SINGLE), WIRING LOOM & PLUG, SUITABLE FOR THE FOLLOWING: SAAB 9-3 05-12 - ALL 1.9 DIESEL MODELS, SAAB 9-5 05-09 - ALL 1.9 DIESEL MODELS. SAAB REFERENCE PART NUMBER 93189918. Part Number: 55197372. We are Breaking a 2007 Saab 9-3 AN TID MK2 ( Pre-Facelift). 1.9 Diesel (1910cc) 150.1Bhp 4 Door Saloon 6 Speed Manual RHD. Wing Mirror Type. Removed from the car below but may fit other models/years. PARTNUMBER0445214122 & 55209575. SAAB 93 9-3 1.9 TID FUEL INJECTION RAIL. 2006 TO 2012. DENSO DIESEL. Newly Listed. 097300-0017 / 097300-0018. View Our Categories. (Injector Leak Off Connector Kit. To suit Bosch common rail injectors. 1 x 90 Degree 'L' Connector. 1 m x 3.2mm braided hose. 3 x 180 Degree 'T' Connectors. Kit includes is the right one for your vehicle). ENGINE 1.9 TiD DIESEL 150HP Z19DTH. TRANSMISSION 6 SPEED MANUAL. PAINT COLOR BLACK 298. ITEM CONDITION. MILEAGE 109K. REMOVED FROM SAAB 93 2008 1.9 TID 150 MANUAL 94391 MILES. We are Breaking a 2007 Saab 9-3 AN TID MK2 ( Pre-Facelift). 1.9 Diesel (1910cc) 150.1Bhp 4 Door Saloon 6 Speed Manual RHD. Paint colour Wing Mirror Type. Removed from the car below but may fit other models/years. ENGINE CODE : Z19DT. VAUXHALL ASTRA ZAFIRA VECTRA SIGNUM FIAT DOBLO MULTIPLA STILO SAAB 9 - 3 93. 1.9 CDTi 8V 120 BHP. HERE FOR SALE DIESEL FUEL INJECTOR LEAK OFF PIPE. 3 MONTHS WARRANTY. SAAB 9-3 FACELIFT 1.9 TTID TWINTURBO 180 HP ESTATE 2010 MANUAL Z19DTR engine. CASH ON COLLECTION PREFERABLE. Are you looking for good quality, decent priced spare parts?. If so - you are in the right place. Part number:0281002937. DELAYS / LOST PARCELS. FITS 2004-2010. Whilst every effort is made to ensure that parts are despatched in good working order, problems and faults do occasionally occur. In this instance we will endeavour to replace a faulty part. 2.2 TID Diesel - Engine Code D223L Fuel Injector Pipes - In Good Condition. Linear TID 2.2 Diesel 5 Speed. Injection Rail. This part was removed from a Right Hand Drive Vehicle. Compatibility is a guide only. 1 x 1m Leak Off Pipe. LEAK OFF KIT. These heavy duty leak off connectors are made from. BOSCH COMMON RAIL DIESEL. TO FIT ALL BOSCH INJECTORS WITH THE COMMON RAIL DIESEL ENGINE. 3 x 180° Brass 'T' Connectors. Vectra c 1.9cdti z19dth set of four fuel lines the ones that run off the rail. 150 bhp cdti facelift breaking for spares all parts available, engine,cat,dpf, sat Nav,interior etc all panels straight. ENGINE: B207E, B207L. You are looking at a Genuine SAAB 9-3 Fuel Rail Assembly. This will fit:SAAB 9-3 (2003-2006). Send us your chassis number to double check. 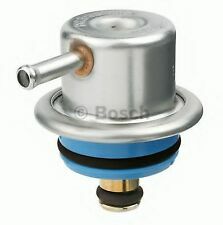 BOSCH PART NUMBER:- 0445214190. VAUXHALL/SAAB 1.9 CDTI/TID 8V Z19DT BOSCH FUEL INJECTION RAIL. VAUXHALL PART NUMBER:- 55215204. FITS 2004-2010. SAAB 5196423 . SAAB 5196423. SAAB 5196415 . SAAB 5196415. SAAB 5195415 . SAAB 4161493 . SAAB 4161493. SAAB 30587015 . ENGINE CODE : Z19DT. VAUXHALL ASTRA ZAFIRA VECTRA SIGNUM FIAT DOBLO MULTIPLA STILO SAAB 9 - 3 93. 1.9 CDTi 8V 120 BHP. HERE FOR SALE SET DIESEL FUEL INJECTOR HOLDER. 3 MONTHS WARRANTY. SAAB 95 VECTOR SPORT ESTATE 1.9TID 150BHP 2007. 307 ESTATE BLACK 1.6.16V 2004. 207 PEUGEOT ORANGE 1.6 SPORT. AUDI A3 SPORT 1.9TDI PD 2004. (DSMC SALVAGE ELV PERMIT REFERENCE NUMBER EPR/EB3004GR/A001). 2008 SAAB 93 1.9 TiD 150 BHP SALOON. Cross reference OE / OEM: 93189918. 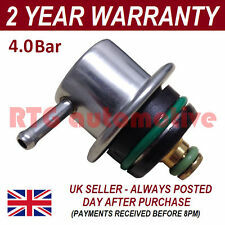 Suitable for Fiat Bravo II, Fiat Croma, Fiat Doblo, Fiat Punto, Fiat Sedici, Fiat Stilo, Opel Astra H, Opel Signum, Vectra C, Opel Zafira B, Saab 9-3, Saab 9-5, Vauxhall Astra MK V, Vauxhall Signum, Vauxhall Vectra MK II, Vauxhall Zafira MK II. They have been professionally ultrasonically cleaned. Breaking 2005 Saab 9-5 Linear TiD Estate 5 Speed Manual. This item is in good condition. Part number 55200266 - 0445214056. SAAB 9-3 1.9 TID DIESEL FUEL RAIL. 120 BHP 8 VALVE. If this is not the case then you have the choice of refusing the item whilst you are on site. Before we dismantle parts from a car, we check the functionality to ensure that the parts are in good working order. Fits Saab. To fit injector 0280150432 (OEM part number is for reference only. injector not included). Kit For Bosch Fuel Injector service/repair (to repair 4 injectors) Kit MTK01-4. Fuel Injector Repair Kit. Used, good working order. Condition -Used, good working order. NEW DIESEL INJECTOR REPAIR KIT, WIRING LOOM & PLUG, SUITABLE FOR THE FOLLOWING: SAAB 9-3 05-12 - ALL 1.9 DIESEL MODELS, Saab 9-5 05-09 - ALL 1.9 DIESEL MODELS. OE QUALITY PART WITH SAAB REFERENCE NUMBER 93189918. 2007 SAAB 9-3 1.9 TiD FUEL RAIL. YOU WILL RECEIVE THE EXACT ITEM DISPLAYED IN THE PICTURES. GOOD WORKING ORDER HAS SIGNS OF WEAR. 1.8i 120 bhp Petrol Injection Injector Rai. >93 Saloon 120 bhp 5 speed. >Petrol 1.8i. If you are not happy for whatever reason, we want to know about it. Channel Islands. Isle Of Man. Scottish Isles. This item has been removed fromSAAB 9-3 Vector Dt (2005). Colour: Black. Car Fuel Type: Diesel. Engine Size:1910cc ,120 BHP. EVERY PART TAKEN OUT OF THE VEHICLE HAS BEEN TESTED. PART CONDITION IS. This is an original quality part manufactured by Elring. 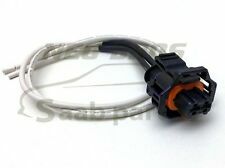 FOR SAAB 9-5 I. Vehicle compatibility. Part specifications. Fuel Pressure Regulator forSAAB 2.0 2.3 2.5 TURBO engines needing more fuel. Will fit all 9-3 9-5 900 9000 models. New Fuel Pressure Regulator 3.0 Bar. Supported models. Injector injector seal Kit Saab 9-3, 9-5, 1999-2010 4 cyl. 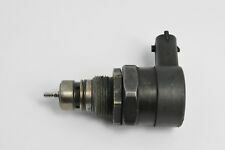 Injector injector Saab 9-5, 900 9000 2.5 & 3.0 6 cyl 2010. Injector injector plug for 6 cyl. EV-1 Bosch. Injector injector seal Kit Porsche 911 3.2 Carrera ' 83 ' 89.